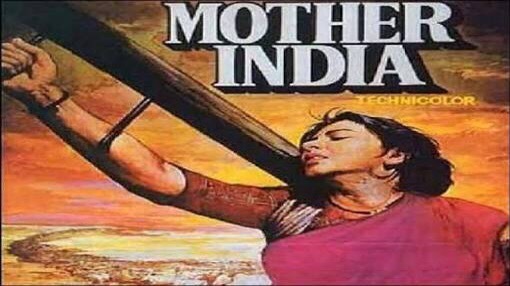 We all have seen the Indian classic movie, Mother India. Radha, the female protagonist goes through many hardships to bring her two sons on her own. But later, when her son, Birju, tries to kidnap Sukhilal’s daughter on the day of her wedding, Radha herself shoots him. A mother who sacrifices so much for her sons was the first one to punish him, when he disrespects a girl. Motherhood did not come in the way of justice. Loving her child is one thing but justice is another thing. We get blinded by our love for our kids and overlook their mistakes and ill treatment towards others. In our Indian society, son’s are often treated as Gods. They are forgiven for every small or bigger mistakes that they do. We have often read how teenagers involved in hit and run cases are left without any punishment as their parents go to any extent to save them. They get blinded in their love for their children and forget justice. Boys and young men who mistreats their female counterparts are very often justified by saying, “ ladke to masti karte hi hain , ladkiyon ko sambhal kar rehna chahiye.”( boys like to have fun, girls should be careful). This attitude encourages the boys to go to any extent and do whatever they feel like with girls. When they see their parents supporting them and coming out to save them from legal punishments, they become bold to commit bigger crimes. If the mothers of boys punish them for their ill treatments towards girls, they will learn not to go further next time. If mothers become as strong as Radha,in Mother India, no boy will dare to trouble any girl. The recent Bengaluru incident shows that men are becoming fearless, they know that nothing will be done to them even if they take the liberty to do anything with women anywhere. This fearless attitude and excessive freedom comes from their homes where they are treated as superior and let go for any of their mistakes. This incident is big slap on our society. How we are bringing up our boys? What are we teaching them? How can they dare to go to such an extent? They are not afraid of their parents. They are not afraid of police. They do not have any values. On the other hand, the movie Dangal, shows a father who goes against the society to make his girls wrestlers. He is extremely strict with his girls and despite their resentment , he makes them strong and at par with the boys. He strongly believes that girls are no less than the boys. Every father must make his girl strong and bold enough to face the challenges of life. Girls are often taught to be submissive and are made to believe that they are not as strong as boys. This makes them helpless in situations like Bengaluru New Year incident. I appreciate Mr Akshay Kumar when he says that girls do not need to think of themselves as weak. With a few martial arts techniques they can easily defend themselves and teach the boys a lesson who come to touch them without their consent. He is extremely right to say that once our girls decide to fight back, no boy will ever dare to even look at them. If fathers become like Mahavir Phogat and Akshay Kumar and make their girls strong enough to defend themselves, no boy will be able to even think of coming near them. The two protagonists, Radha and Mahavir Phogat, set a very good example for all the parents in a way that in the present scenario where we see boys disrespecting girls and especially the Bengaluru New Year incident , it is very important to punish our boys severely when they do something wrong and make our girls so strong that they can easily defend themselves and beat the molesters easily .